Using new roof tiles for a roof installation can prove to be an investment that can appreciate the value of your home as well as improve the aesthetic appearance. Future-proof your home with new roof tiles to avoid the costs of recurring repairs and major structural damage from faulty roofs. If you have an older style of roof tiles, it is strongly recommended that you consider completely replacing your existing roof before any actual problems occur. Getting a thorough roof inspection done by a professional will help uncover any underlying problems. If your building was built in the 1970s through to the early 1990s, your tiles may be nearing the end of their life. Most tiles have a lifespan of around 25 – 30 years which means that new roof tile replacement will almost certainly be required. Very important: Please also note that a roof inspection is very useful in finding any possible issues with older roof structures. Structural problems can be extremely expensive, and lead to catastrophic interior damage. Roofing repair should be undertaken immediately in these cases. Fixing damaged tiles: Damaged tiles can be caused directly by storm damage, tree branches, and similar issues. Roof tiles may also be damaged indirectly by interior work affecting the roof base. Replacing the damaged roof tiles with new ones will properly seal your roof and prevent interior leaks. Upgrading your home exterior: If you're renovating or giving your home and exterior a makeover, new roof tiles can add a spectacular new exterior look, adding value to your home as well. Keep in mind this upgrade also delivers excellent "kerb" appeal when selling. Renovating: New roof tiling may be necessary if you're doing renovations. If so, you can take advantage of the possibilities of a new roofing design and create additional upper storey space in the form of an attic, recreational space, a home office or use it for storage. Leaky roofs: Any roof leaks may come into contact with electrical wiring, potentially causing fires. Leaks can also cause serious damage to internal timbers and structural supports, causing a cascade of interior damage. Gaps and holes in tiles: Animals and birds can use gaps in holes in your roof to gain entry. This can be both unhygienic and particularly dangerous if in contact with your roof wiring, plumbing, or other fittings. Another possible problem in this scenario is insulation damage, which can be quite expensive to fix. 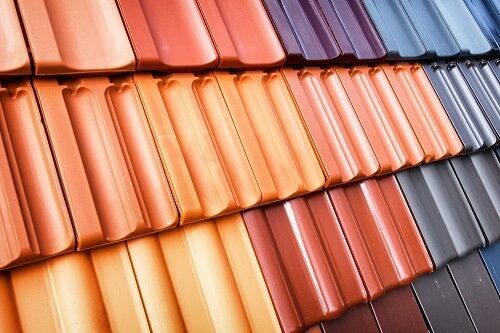 Thinking About New Roof Tiles for Your Home? ReKote Roofing and Restorations are your local roofing contractors. We can help you with any new roofing needs in Wollongong and Sutherland. If you'd like some professional help with your roof, just call us. We can also help you with re-roofing, roof replacement, and the latest concrete or terracotta roof tiles on the market. Give us a call or fill in our online form and we'll be in touch ASAP.